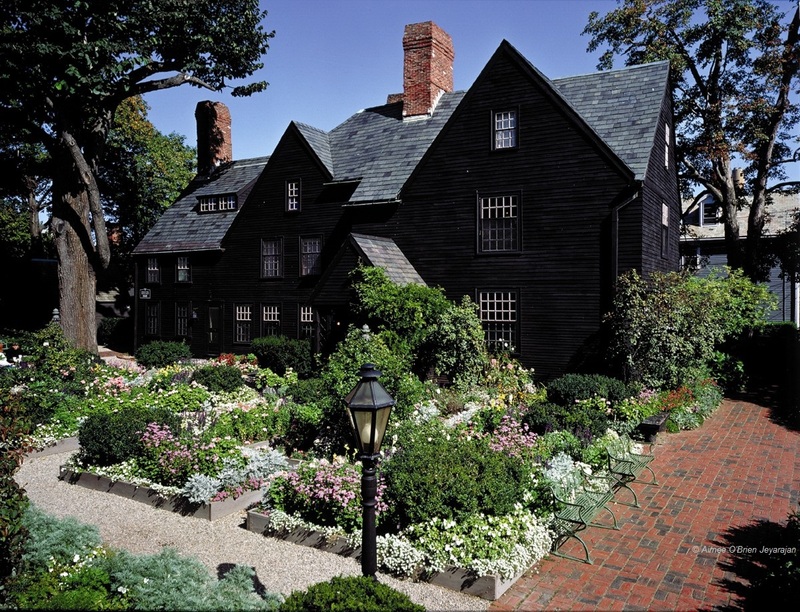 The House of the Seven Gables is a literary and historical landmark that attracts visitors from around the world, but it’s the Gables’ Seaside Gardens that invites visitors to stay a little longer after their tour. The Gardens reflect four centuries of planting schemes and hearken back to plantings of the Colonial era. The garden beds were laid out by a landscape architect, Joseph Chandler, hired by the Gables’ founder Caroline Emmerton in 1909. Emmerton wanted the gardens to be an “oasis of beauty” enjoyed by all and was fastidious in regards to the gardens’ maintenance (these high standards are still in practice today). 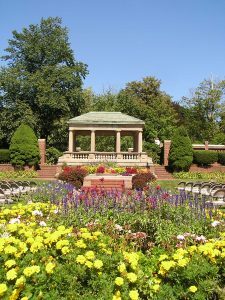 The gardens feature a rose trellis, delphinium, sweet William, chrysanthemums, impatiens, lavender, santolina, a Wisteria Arbor, and many more beautiful plants, herbs, and flowers. Most prominent are the lilacs whose unobtrusive color and lilting scent set the serene environment of the garden. Open daily, year-round, 8am-5pm. Guided tours offered in the spring, summer, and fall. 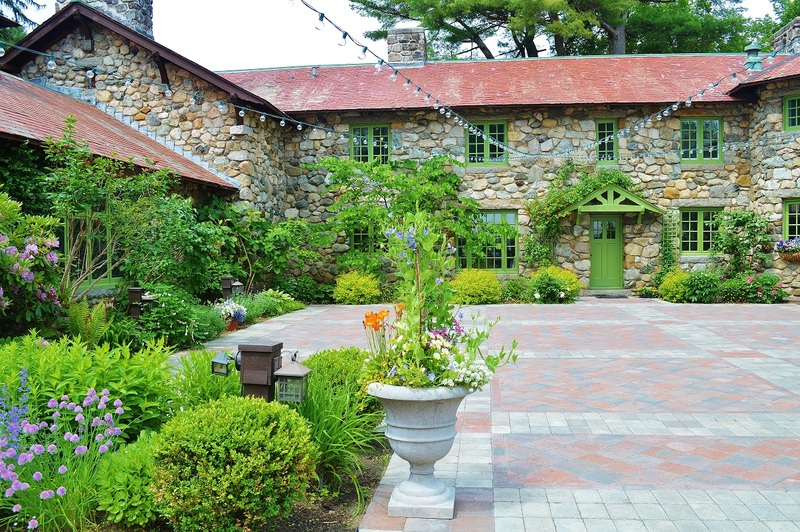 Long Hill is a 114-acre property purchased by publisher Ellery Sedgwick in 1916. Sedgwick’s wife, Mabel, was a talented gardener and horticulturist with an ambitious green thumb who designed a whimsical landscape which continues to inspire 100 years later. 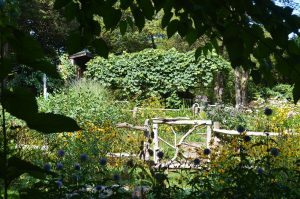 The Sedgwick Gardens are laid out very much like a house – each section is a separate “room,” if you will, with its own distinct features and decoration. After Mabel Sedgwick’s death in 1937, the gardens were enhanced by the second Mrs. Sedgwick who had an extensive knowledge of rare and exotic plants (Mr. Sedgwick had a thing for green thumbs, apparently…). Fun Fact: Does the last name sound a little familiar? Ellery Sedgwick’s older brother’s (Henry Dwight Sedgwick) great-granddaughter is actress Kyra Sedgwick. And thus, Long Hill is only a few degrees away from Kevin Bacon. The 16 acres known today as David S. Lynch Memorial Park were originally known as Woodbury’s Point. With its seven-gun battery, the fort at Woodbury’s Point was an important location to keep Beverly’s port safe and secure – after the British troops closed Boston Harbor, the coastal town of Beverly had become an important port from which to cut off British supply lines. By the 20th century, Beverly had become a posh location for Boston’s wealthy to spend their summers. Many luxurious summer homes were built and Woodbury’s Point became Burgess Point. The Evans family built one of the finest summer estates on the North Shore on Burgess Point and one of their cottages was rented by none other than President Taft during the summers of 1909 and 1910. Apparently, Mrs. Evans was not fond of the hoopla and bustle surrounding her celebrity tenant and informed the President that the summer of 1910 would be his last on her property as she was taking down the cottage and putting an Italian rose garden in its place. President Taft moved to a summer home on Corning Street, the cottage was moved to Marblehead, and the rose garden, with its gorgeous imported plants and shrubs, still stands today. But wait, you may ask, who was David S. Lynch and where does he come into this story? 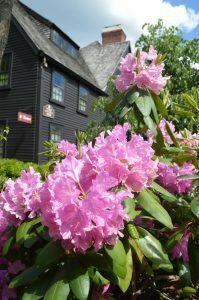 Lynch never actually lived at Burgess Point – he was the owner of a leather factory who wanted to make sure that everyone in Beverly had a beautiful outdoor place to visit and enjoy. 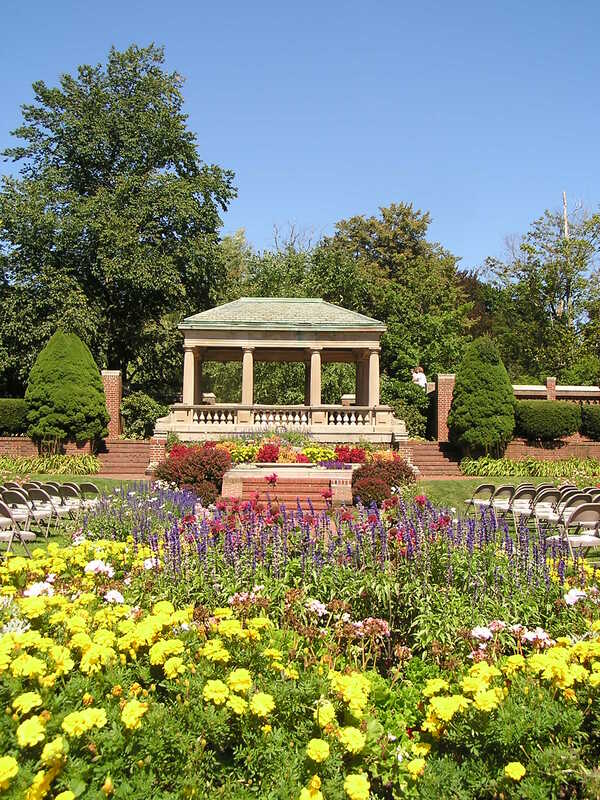 When he died in 1942, he left $400,000 to the Lynch Park Board of Trustees to buy and maintain a public park. At that time, Burgess Point was owned by Beverly Hospital, who found the land expensive to keep up and happily sold it to the LPBoT for $50,000. The hospital was happy to have the land off its hands and the city of Beverly had a splendid piece of land for everyone to enjoy.